We all know how important it is to dust the surfaces at home and disinfect the bathroom and kitchen. But do you take a good care of your carpet? Believe it or not, weekly vacuuming is not enough for keeping your carpets clean. If you want them to be germ and dust – free, you’d better call us now and book for our carpet cleaning service. We are available in Maida Vale and the adjacent counties every day, even on the bank holidays. With us you can be sure that your carpets will be cleaned with non-toxic detergents and the effect will last for a long time. 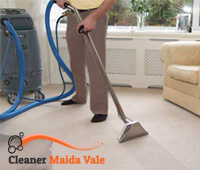 We are a Maida Vale based company with years of experience in the cleaning industry. We believe that our low prices and the high quality services we carry out make our customers come back to us. Our cleaners will be on your driveway in Maida Vale shortly. They will carry all the necessary equipment in their van and before they start cleaning a preliminary inspection will be performed. They will determine what kind of treatment is needed for the stains and if steam cleaning or dry carpet cleaning is more appropriate. We know that some people are afraid to let someone they do not know into their home, so we want to ensure you that all our cleaners have gone through background check procedures. They are reliable people who respect customers and their properties. Make a booking now and leave the hard work to us. 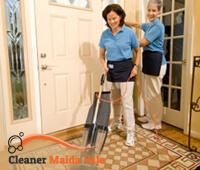 We have completed many carpet cleaning tasks in Maida Vale and none of our customers was disappointed with the quality. Give a call to our operators now and ask for your charge free price estimate. Don’t forget that you can also get in touch with us online by filling the booking form on the website.